The perfect tool for Lightworkers, Therapists, Healers & Workshop Leaders, Lightworks Professional is a set of 4 CDs for use by professional lightworkers or energy workers in healing sessions, practice sessions in workshops, group meditations, healing circles to assist in healing, meditation, trancework and to create a safe space for increased confidence and rapport. * Set the amount of time you need precisely in professional energy work with clients. To help the trainer, healer, hypnotist, teacher structure time and gently lead into and out of energy work. 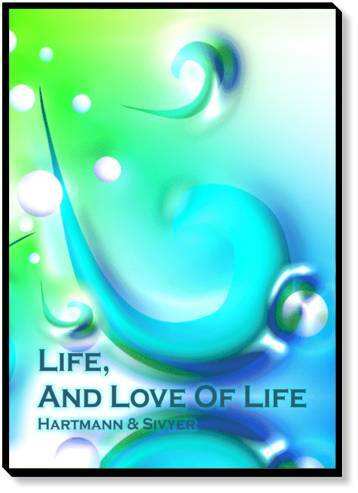 To function as a powerful healing aid and tool for any energy healer or lightworker. Unlike widely available "new age elevator music" which just suppresses background noise, LightWorks was created by StarFields who has some 30 years experience in energy work and has translated this into sounds and movements that do a lot more than just support the lightworker; LightWorks itself "softens and flows" energy on its own accord - both that of the client, as well as that of the practitioner/healer/teacher/trainer. For a solid, deep and wide self healing or meditation experience on your own when time is of the essence. For wonderfully re-charging personal healing experiences. For creating your own purpose made guided meditations. For extremely deep meditations and complex rituals and evocations. LightWorks is powerfully uplifting and healing in its own right. Play LightWorks out aloud on a good stereo system and let the intelligent healing vibrations do the work. Hard working healers too can benefit from choosing their session length to get their healing and relaxation time! The four different time LightWorks give you perfect control over your healing time which is invaluable in the professional practice. and all the way to be the "main healing event" that works by itself and without you having to do anything at all. 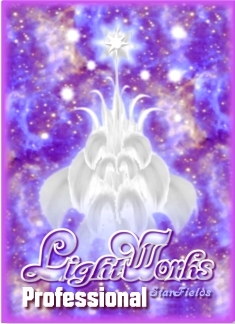 LightWorks was created not by a studio musician, but by StarFields, who has some 30 years experience of the reality of working with clients, healing meditations, groups, and energy hypnosis. Because of this, LightWorks has powerful support FOR THE HEALER built within its very structure. Reduce Healer Stress - LightWork soothes and empowers the energy system, and not just the energy system of the client. Empower The Healer - LightWorks stands behind you and lifts you, so you can be free to be the extraordinary healer you can be. Protect The Healing Space - LightWorks has a powerful underlying protection pulse that creates a healing space of safety into which both the healer and the client/s can relax and expand. Create Rapport between Healer & Client/Group - LightWorks invites and powerfully supports a resonance movement for all within its space of healing. This connects all those present and materially aids in creating the kind of deep rapport that is the hallmark of the "client - practitioner dance". This is especially valuable in group situations, to bring dissonant groups together and make it much easier to teach and heal. Please Note: If you use LightWorks on a regular basis, the practice and knowledge of the energy movements in the songs will assist you in stepping into "the healing state" more quickly, more deeply. The regular use of LightWorks will help to evolve you as a healer and teacher, eventually unlocking new levels of your healing skills across the board. LightWorks Professional is a four quality CD set of pure Healing Music with intelligent energy resonances for healing and meditation, created using the Art Solutions process. The Perfect Support Tool For YOUR Professional Healing Practice. Created by StarFields For The LightWorkers of Today. An excellent investment and a very valuable addition to any professional healing/teaching practice.